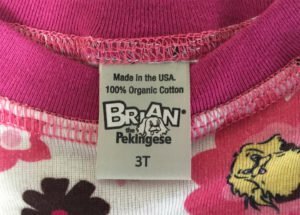 It’s no secret that the overseas garment industry is notorious for paying less-than-livable wages, for employing children and for exposing workers to unsafe conditions. The ethically-made movement arose because of a desire to encourage the apparel industry to change these abusive practices. And while we applaud those brands who only source with ethically-made factories, we took it a step further. All of our apparel is made in the USA. The factories that make our apparel, all of which are located in Los Angeles, must pay their workers the Los Angeles minimum wage, which is higher than the California and Federal minimum wage. These employers pay into the workers’ social security, unemployment and workers compensation accounts. Additionally, these vendors are inspected by government agencies to ensure they are compliant with state and federal health, safety and child labor laws. The next time you’re shopping for apparel, keep in mind ethically-made is good, but USA-made is better.